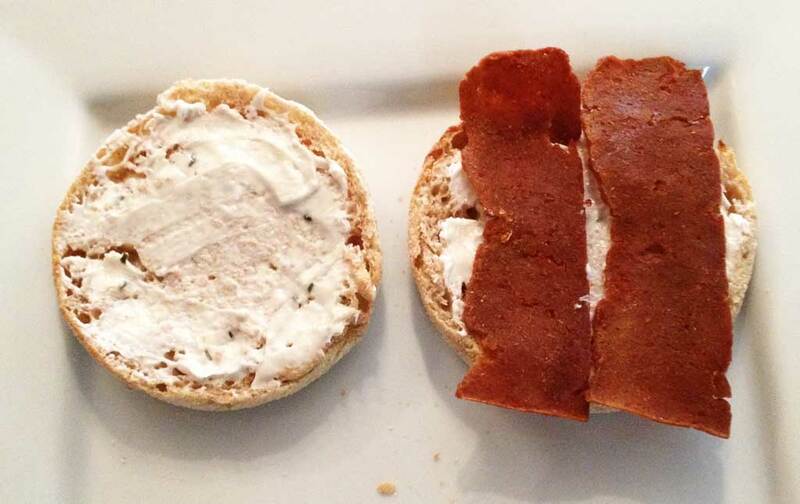 The first time I ever had a vegan breakfast sandwich was at Farmhouse Conf 2. I already knew I loved Shane from the moment I met him, but when I attended a conference at his house that was catered with 3 vegan meals plus snacks, Tonx coffee, and drinks, it sealed the friendship. The second time I had a breakfast sandwich was just a couple of weeks ago at Timeless Coffee. 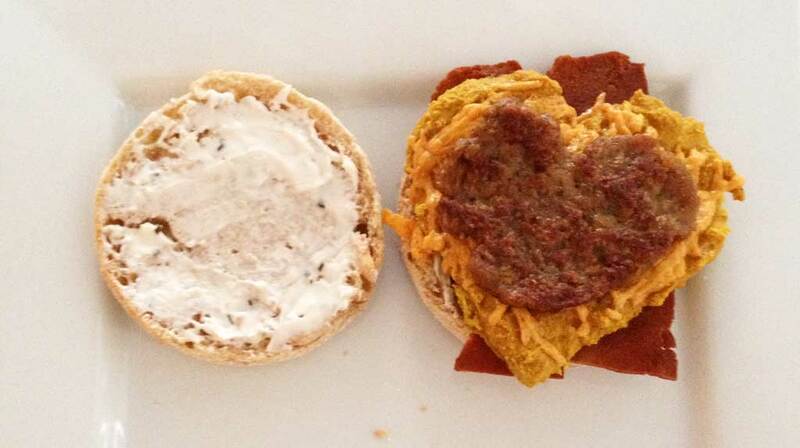 While I was eating it, I decided that I would attempt to make breakfast sandwiches at home sometime. Today is sometime. 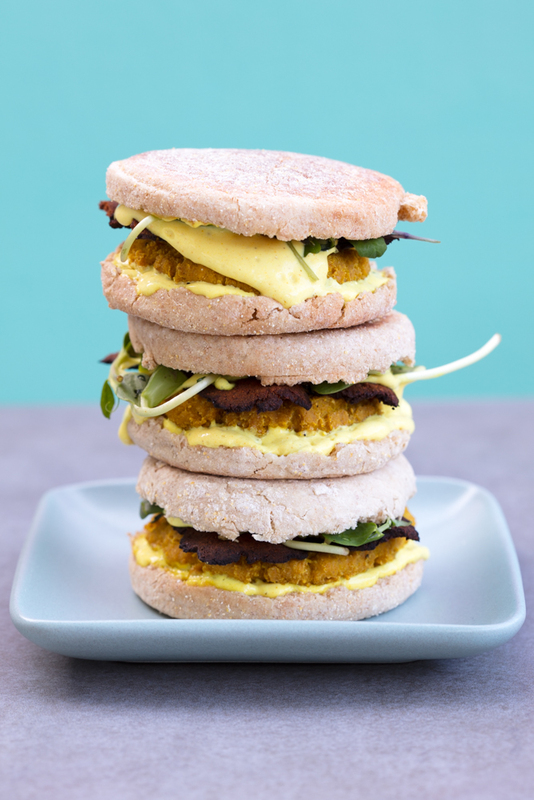 Whether you have already had 2 really amazing vegan breakfast sandwich experiences, or none (or 3,785), these are super crazy easy to make, and I think you should make them for someone you like very soon. 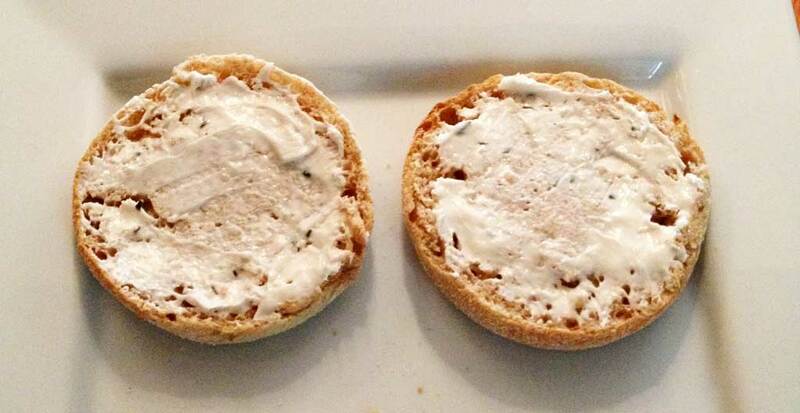 Step 1: Toast the english muffin and spread cream cheese on both halves. Step 2: Add 2-3 strips of cooked vegan bacon. I’ve tried making the Upton’s bacon in both a pan and the oven, and I didn’t notice much difference either way. Step 3: Add a tofu patty. I made these by squeezing the water out of a block of tofu and blending the tofu with a bunch of spices (cumin, turmeric, nutritional yeast, salt, pepper, garlic powder). Then spoon the blended tofu into a mold (cookie cutter) of some sort that you set onto a baking stone or cookie sheet. When you lift the cookie cutter, the tofu will hold its shape. You can also just make dollops and flatten them to around a half an inch in thickness. 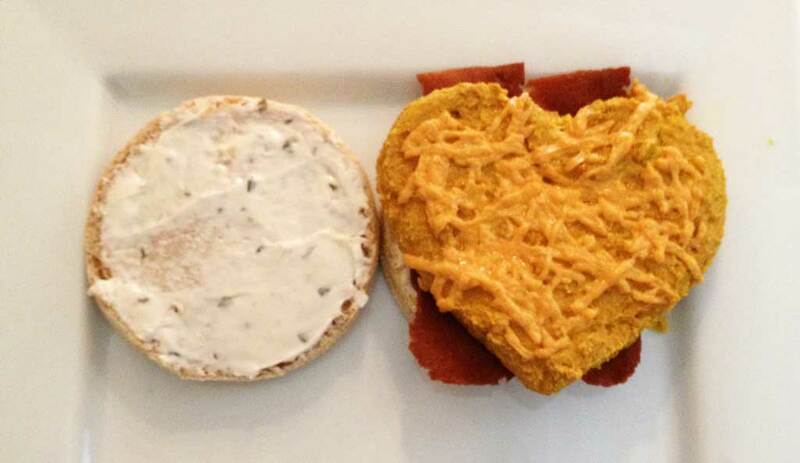 I baked these tofu patties at 350º for 20 minutes, then sprinkled cheese on top and broiled until the cheese melted. Step 4: Add cooked sausage. You can also add hollandaise sauce if you happen to have some on hand.